In parallel to WTO dispute settlement, a number of dispute settlement mechanisms have evolved as part of preferential trade agreements—sometimes also called ‘free’ or ‘regional’ trade agreements. These mechanisms are destined to settle disputes arising out of these particular trade agreements. Settling disputes within a preferential trade agreement may look promising, as it can build on a more close relationship between parties. However, in reality, there has been quite some overlap between WTO dispute settlement and settlement within these agreements. A number of pertinent cases are discussed alongside with a stocktaking of the academic discussion, which mainly addressed these incidents of a troublesome proceeding in parallel from the point of view of established doctrines of procedural law. As is explained here, these conflicting adjudications have to be seen from the point of view of an overlap in substantial law. Such overlap results from the fact that preferential trade agreements contain additional obligations and rules, while WTO rules are still applicable between the parties. Quite often, rules under the agreements in substance may overlap with WTO rules. As is shown, WTO dispute settlement can hardly be foreclosed to the advantage of dispute settlement in preferential agreements, where an overlap exists in substantial perspective. 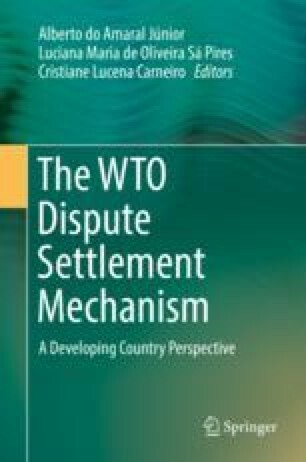 Also, WTO dispute settlement has a role to play in case that third parties have reason to complain about their WTO rights being nullified or impaired as a consequence of the conclusion or implementation of a preferential trade agreement.